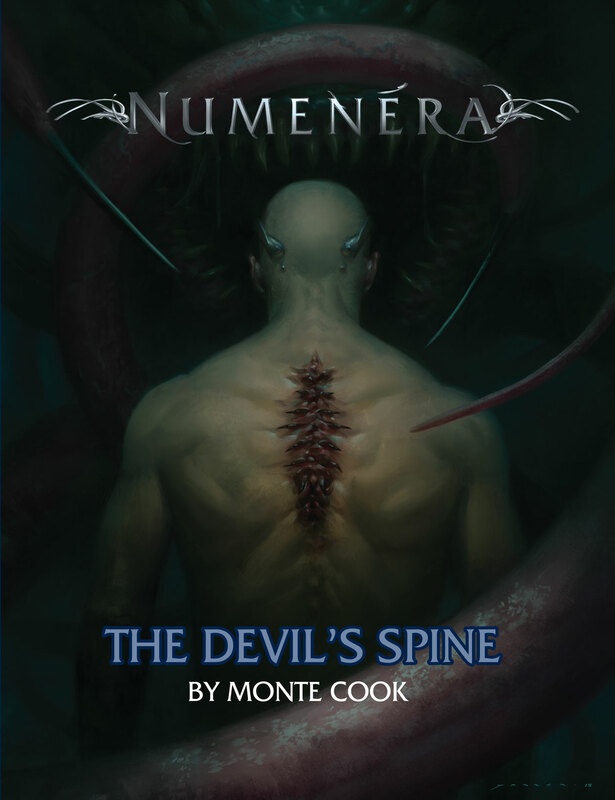 A whaleboat, viral creatures, pregnant monster mermaids, screaming statues and some nasty little spine-tingling parasites are only a sampling of what’s in store for readers of Monte Cook’s definitely weird and more-than creepy Numenera RPG tabletop adventure The Devil’s Spine. If you had any doubts if Cook’s adventures could get any weirder after those found in the core rulebook or Vortex, the answer is absolutely, which is a good thing since Numenera’s science-fantasy setting is built upon the underlying weird tone of the world which is set on earth billions of years in the future. The adventures start out pretty straightforward after a nobleman in the city of Uxphon seeks some trustworthy people to look after his house. Afterwards, everything’s not so straightforward, and what follows are three adventures including an ocean adventure, which in my opinion is the highlight of the whole book, where players run into all sort of unusual locations and creatures both below and above the sea. As with Numenera’s past releases, the art is fantastic and helps the players and GM visualize locations and monsters, although Cook’s writing is more than sufficient to communicate the strange and fantastic vistas, as well as the horrific creatures that inhabit Numenera’s Ninth World. If you’ve enjoyed Numenera so far, you’ll enjoy the adventures in The Devil’s Spine, and by journey’s end you’ll probably want more of this crazy world.